The Nelson Food Cupboard has been serving record numbers of people at its food bank this winter. Feb. 20, 2016 4:00 p.m. The Nelson Food Cupboard has been serving record numbers of people at its food bank this winter. Donations from community members keep the shelves stocked with fresh produce, dry goods and fresh protein sources. 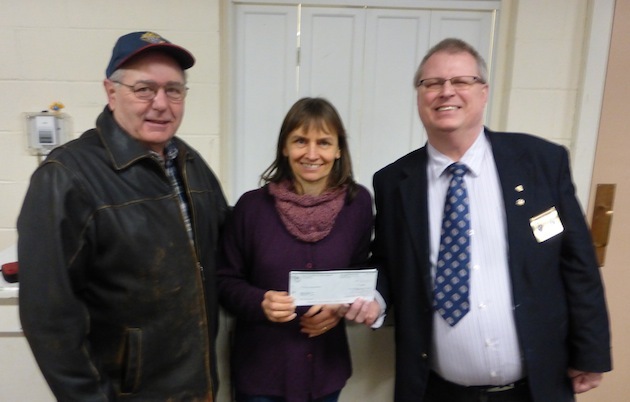 Nelson Food Cupboard staff recently accepted donations from the Knights of Columbus (pictured below with co-ordinator Marya Skrypicjazko) and local forestry consulting companies, Timberland Consulting and Sitkum Consulting (pictured above with garden manager Kim Charlesworth).